Denver's premier weekly, live music and yoga celebration, Friday Night Yoga Club (FNYC) invites your company to become a sponsor/vendor for this upcoming season. Building on the success of a completely sold out schedule our last six seasons in Denver; FNYC is an established, exciting 'alternate season' version of the already highly successful Yoga Rocks the Park event. We are growing in 2018- 2019 to include more studios, instructors, musicians and vendors than ever before! Last year we welcomed 2,000+ yogis to our events, this year we project more= more happy yogis = more exposure for your brand! 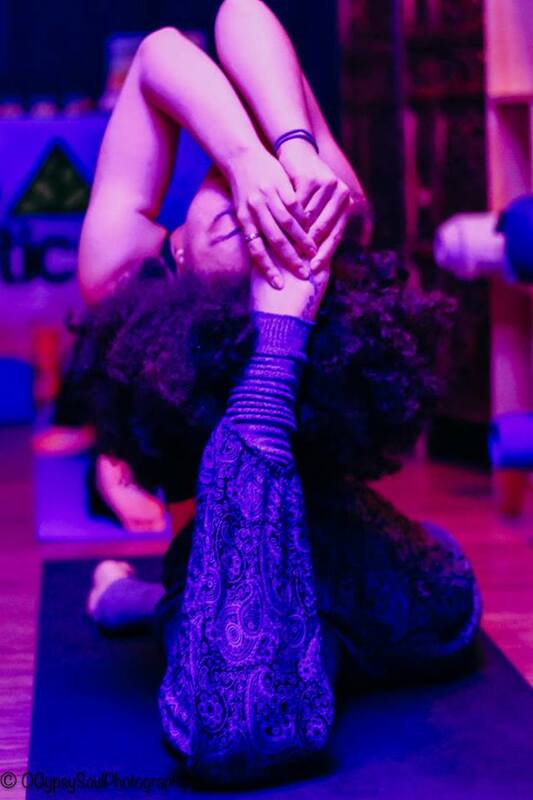 FNYC is an annual series now including 17 Friday evening events - Sept 2018 through April 2019 - which gathers our yoga/wellness community around the most innovative and inspiring yoga instructors, musicians and wellness providers in the area. It’s an evening of heart-opening yoga practice to find our deepest, truest Self – the sacred, joyful identity we all share. We gather in celebration of community around organic food and drink, vendors, music and fun. With more than 8,400 yogis on our Denver email list, 2,500 on the FB + Instagram pages and 6,250+ Colorado Yoga Events fans on Facebook + Instagram our reach to your consumer base is stronger than ever. With rates accessible to businesses with almost any size budget your company can connect with wellness practitioners on a regular basis in a fun, healthy and social environment - both on and off-line (we see about 10X reach online in addition to our in-person at events — and enjoy dozens of sponsor benefits all at a fraction of the cost of other yoga events. have participated in a yoga class at some point in their lives. Yoga is for everybody. There are more male and older practitioners than ever before (approximately 10 million male practitioners and almost 14 million practitioners over the age of 50 - up from about 4 million men and 4 million 55+ year olds in 2012. Yoga practitioners report spending over $16 billion on yoga clothing, equipment, classes and accessories in the last year, up from 10 billion in 2012. NOTE: All sponsors are kindly requested to promote event through at least one email to your list, inclusion of event in social media throughout event and permission to place marketing materials in your space (where applicable) for duration of event. To sign up or request more info fill out form below.